Robert G. Collins, Jr., age 75, of Hamilton passed away on March 19, 2019. He was born on October 7, 1943 in Cincinnati, Ohio to the late Robert and Alberta (nee Arrasmith) Collins, Sr. On October 24, 1964; in Delhi, Ohio he married Kimmerlee J. Reynolds, which she survives him. He is also survived by his two daughters, Jennifer Collins (fiancé Patrick McNally and formerly married to Mark Hoeweler) and Emily Huss (Kenneth); his grandchildren, Nathan Hoeweler, Morgan Hoeweler, Austin Hoeweler, Evan Huss and Nolan Huss; sister, Patricia Roth (David) ; brother, Edward Collins; and many other loving family and close friends. At the age of 15, he started working part-time at Riordan’s Stained Glass Studio in Cincinnati, Ohio, where he fell in the love with the craft of stained glass and found his calling. After graduating Western Hills High School in 1962, he trained at the Cincinnati Art Academy, Paul Chidlaw Studios and The Central School of Arts in London, England. He served as an apprentice under the late Herman Verbinnen, who was a renowned stained glass artist/craftsman. During which, he camped all over Europe with his wife. Robert followed Herman to Westerly, Rhode Island in the late 1960’s where together they established a small studio for the area. During this period, he had started his family with the birth of his two daughters. After Herman’s death, Robert continued to work as a stained glass craftsman, as well as a well-known and talented Landscape Artist in the Westerly and Watch Hill area. In 1979, Robert’s homesickness of the Ohio Valley brought him back to Ross, Ohio where his dream at 15 years old came to fruition and spent the rest of his years restoring and creating stained glass windows in his own studio. His work can be seen in many local churches, homes and bars. Some of his creations are within Christ Church Glendale, O’Pub in Oxford, and Redeemer Church in Hamilton, just to mention a few. His restorations include but not limited to Christ Church Cathedral in Cincinnati, Saint Martin of Tours in Cheviot, and St. Francis De Sales in Lebanon. It would be hard to find a leaded window in the Cincinnati area that he has not touched in some fashion. Despite his constant career he always found time to spend with his children and grand-children. There was rarely a day that went by where he didn’t try to make them smile or laugh. He would do anything for them if he got to spend time with them. This caring for his children would spread to anyone he knew, and he would bring out the child in them. 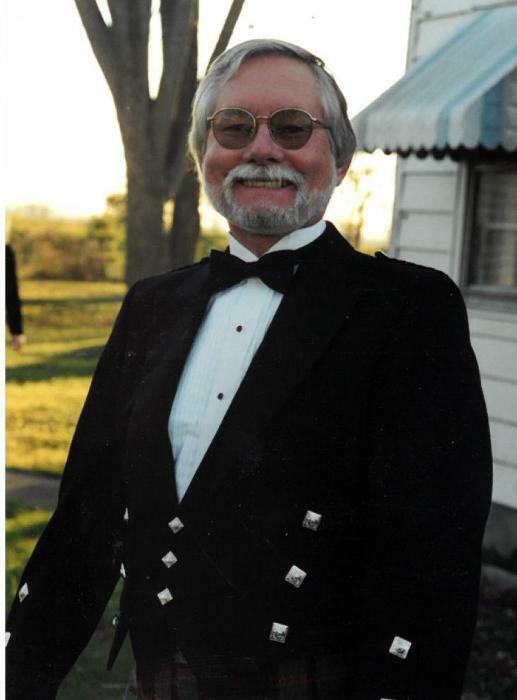 Robert was a member of Trinity Episcopal church in Hamilton, Ohio where he served as Warden, Vestry member, Mission organizer, and committed Usher. He immensely enjoyed and found peace in the mission to the Navajo Reservation. Also, a member of The Caledonian Society of Cincinnati where he served as the organizations 81st President; Member of the Losantiville Highlanders.